Member-driven organizations have a real problem with employee churn. Each has their own complex, nuanced approach to membership management – making training expensive, and churn a frustrating inconvenience to organizations that so desperately need competent, trained management staff to run smoothly. Before we can fix this problem, we have to face it by developing an understanding of not only why member-driven organizations experience higher-than-normal levels of employee churn, and why churn ‘hurts’ this type of organization so much more than others. Excel is used to store and manage member contact information. MailChimp is used for membership Email and campaigns. EventBrite is used to manage events. Reliant on a number of different tools, competency as a membership manager requires an intimate understanding of how to navigate a tremendously complex labyrinth of software platforms. Training new staff on the ins-and-outs of this maze is a long, slow, expensive affair. Membership management positions like these require intense specialization, yet rarely can member-driven organizations afford to pay each member of their management team specialist salaries. Simple, everyday tasks require extraordinarily complex knowledge to complete – making work inefficient and stressful for managers. It’s no wonder, then, that membership managers are so keen to seek greener pastures. Equipped with specialist skills, and immersed in an environment of unfulfilling, stressful data-management, managers cant be blamed for developing a special sensitivity to alternative job prospects. For the boards of member-driven organizations, this represents a real problem. You’re forced into make significant investments to give your employee’s the skills they need to run your organization, only for them to leave before you get to enjoy a return! Requiring the use of 3 software problems to complete a task, when one will do, multiplies the time, work, and expense required to do it. This is more expensive not only to your organization, but to your team members as well. Inefficiency is frustrating for everybody, and comes with an emotional cost as well as a monetary one. Complexity, especially when unnecessary, adds an element of frustration onto every task – and that frustration factors heavily into a person’s decision to stay or leave your team! Membership managers do not apply for data-entry positions. They apply to engage with, and manage, relationships with human beings. With complex software arrangements, work becomes more about managing software, and less about people. Alternatively, with the right software, administration is largely automated – empowering your team to not only enjoy their work, but do it better! Training is a basic necessity for bringing any member onto your team, but you can control how you train your employees in order to get a better handle on costs. If you haven’t taken a look at your training processes in some time, you likely have a significant opportunity available to optimize expenditure when bringing on new team members. If you’re using membership or association management software, chances are your software provider offers some sort of onboarding program you can access to provide your team members the training they need to use software. Traditional onboarding programs are generally a one-size-fits-all approach to learning. They will teach staff how to use software, but do not offer much insight into how to use software to solve problems specific to your organization. Beware of these programs. While they are convenient, and a proper choice in many situations, they aren’t always the best bet among alternative approaches to learning that can offer a lot more value to your organization, for a lot less. There are two ways to learn software. The traditional method is like reading an entire textbook from front to back before going hands-on. This is a great way to learn comprehensively, but is slow and rigid. Traditional onboarding is like this, as it teaches you how to use every nook and cranny within a given software platform. The thing is, rarely will you ever come back to the nooks and crannies you are taught to navigate. Generally, only a small fraction of a software platforms features and functions are ever used regularly. Focusing your learning on the tools that your organization specifically needs is a great way to learn faster, and for less. Known as agile learning, this approach is possible when your software provider gives you access to a high-quality digital learning resources, specifically a useful knowledgebase! A quality knowledgebase allows your team members to access the learning they need, exactly when they need it, for no added expense. This allows a membership manager to zero-in on solutions to problems that they’re facing, as they face them, gradually coming to learn a software platform without any interruption to their work. This approach eliminates time wasted learning things that don’t offer value, ensures that your team always has access the info they need, and lets them learn while working. Traditional training programs require staff to devote time specifically to training, requiring them to divert their attention from day-to-day work. 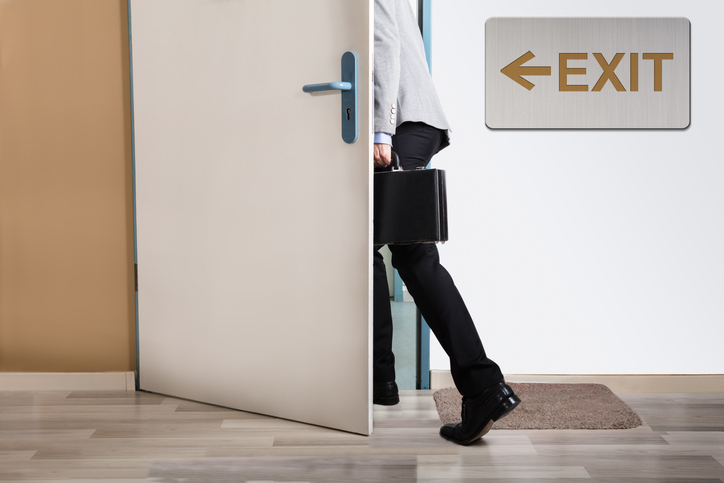 In many cases, you’ve got to take an experienced member away from their work in order to train new employee’s. A quality knowledgebase spares you the need to take anyone off work at all. By following getting-started guides, or simply searching for ‘How-to’ tutorials as needed, your employees can learn how to solve problems using their membership management software while solving those problems. Instead of devoting time specifically to learning, a proper knowledgebase allows learning to take place in parallel to work, saving your organization money, and getting the most out of your employee’s time. With the right software and training tools, your organization can enjoy a reality where churn and expensive training are a thing of the past. Proper software allows you to automating routine processes, eliminate complexity, streamline work, and empower your team to do what they do best. This adds value for your staff by making work far more enjoyable, and adds value for your organization by improving efficiency and reducing employee churn. With proper training tools, your organization can enjoy an even greater impact on employee retention and training costs. Not only does a useful knowledgebase eliminate the need to repeatedly pay onboarding fees, but it empowers your team to control their own learning, and keep it focused on only the information that offers immediate value.